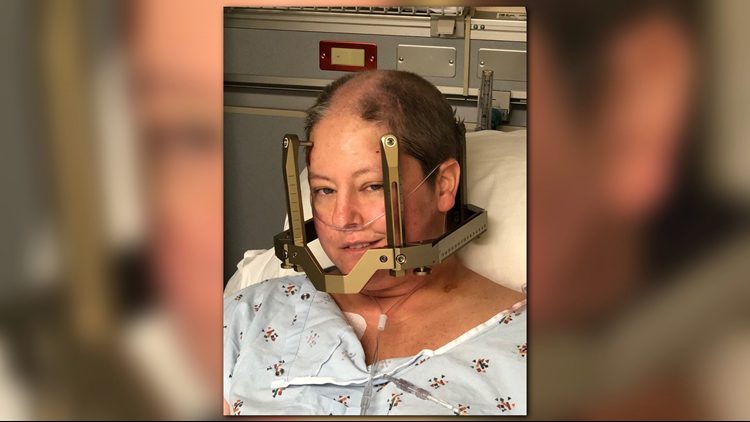 JACKSONVILLE, Fla. -- Julie Petersen says her fight is tough but she can get up every morning because she wants to be alive for her children. Most of all, she worries about her children. But she's positive. She's hoping the Gamma Knife surgery she's had is shrinking the lesions in her brain. It's hard for someone with a master's degree to even think about admitting she needs financial help. But thank goodness a local business leader found out about the need. Phil Porter, owner of Subaru of Jacksonville, gave a check for $5,000 for Julie. It's part of the Live, Learn, Love campaign to support the fight during October's Breast Cancer Awareness Month. This is the fourth year Porter has reached out to help a breast cancer patient. Julie says the generosity was pretty overwhelming to her. She is grateful. Porter also wrote a check for $2500 for our Buddy Bus campaign. 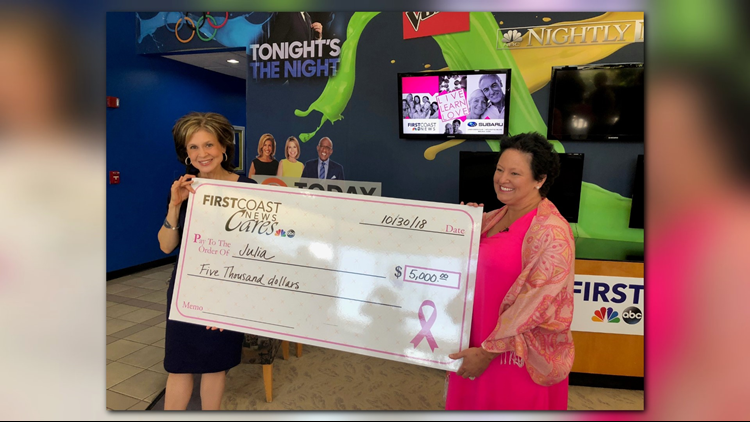 First Coast News and Baptist/MD Anderson are working to raise funds for the Buddy Bus, a mobile mammography unit for six local counties. If you'd like to give so we can purchase the bus and save more lives, you can visit firstcoastnews.com/local. So far we've raised $413,000 of the million-dollar goal.